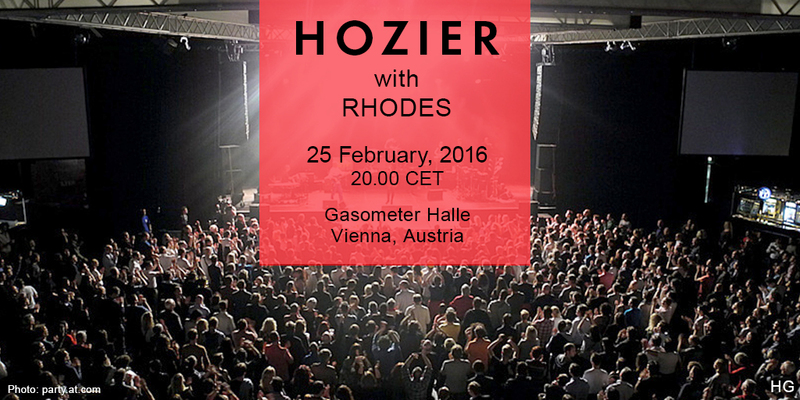 Hozier played the Gasometer Halle in Vienna, Austria on Thursday, 25 February, 2016. Rhodes opened. Capacity 4200. Rayneese makes an appearance on this final leg of the tour. We love this message Alana found. It ties in quite nicely to Hozier’s Cherry Wine campaign. There is an unusually high number of very nice quality videos from Vienna. You can watch the entire concert in this playlist posted by Youtube user Galvanization85. Sophia Min also filmed the entire concert, and Barbarellla91 and aisha_b both posted multiple songs. Vienna was the show of the silhouette. Tagged Austria, Gasometer Halle, Rhodes, Vienna. Bookmark the permalink.